Only Teens and Adults can take part in this hobby! 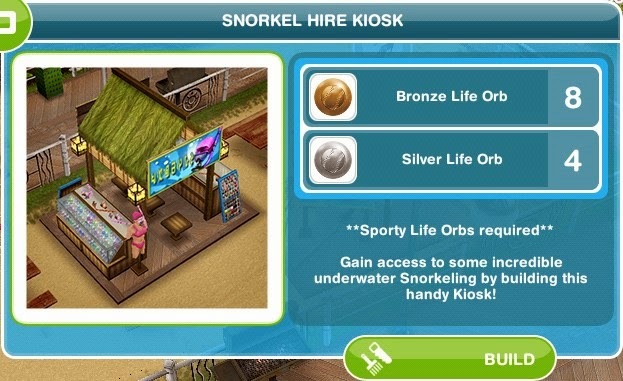 It also requires to have the Snorkel Hire Kiosk built. You can pay the building cost in part orbs, part LPs. The total cost is 880 LPs if no orbs are used. 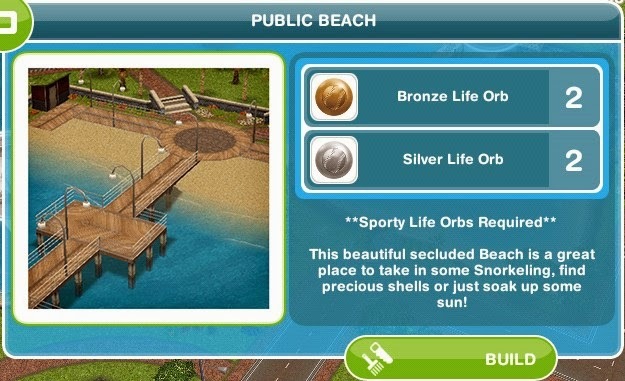 Find a Teen or Adult Sim and whistle them to the beach. Tap the Snorkel Hire Kiosk to rent a snorkel. There are three snorkelling locations, each completes two rows. The first two rows unlock the second location and the next two rows unlock the last location. 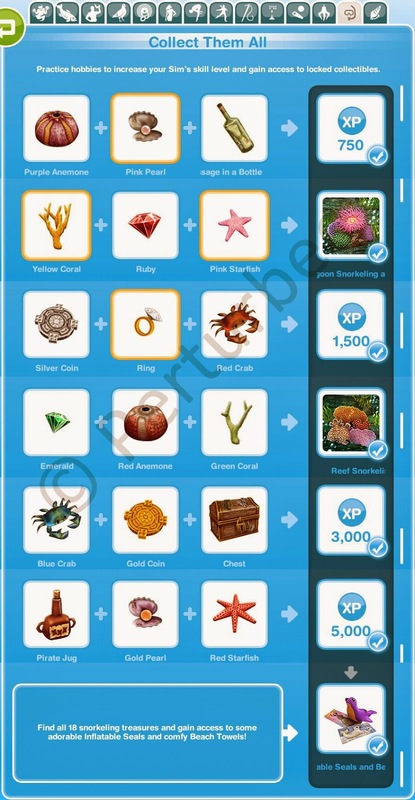 Please note: treasures already collected will NOT yield the rewards again if filled in on the collectibles grid. 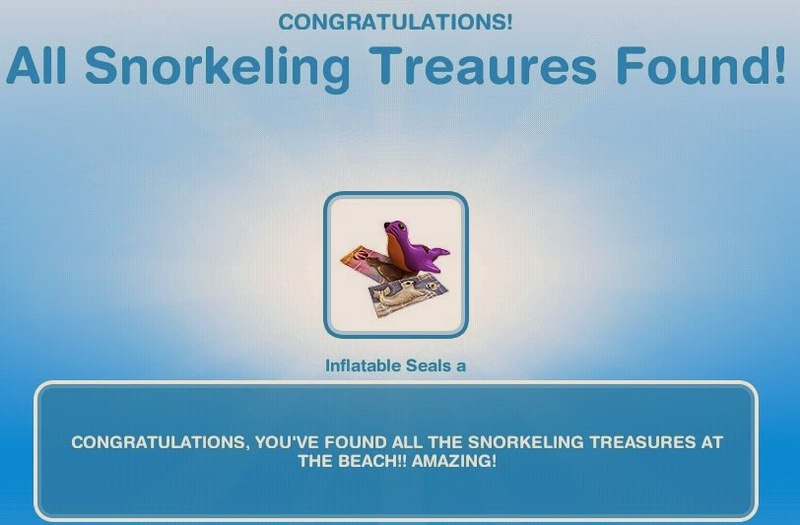 The first time collecting all the treasures unlocks "Inflatable Seals and beach towels".